This is a big week for new products. 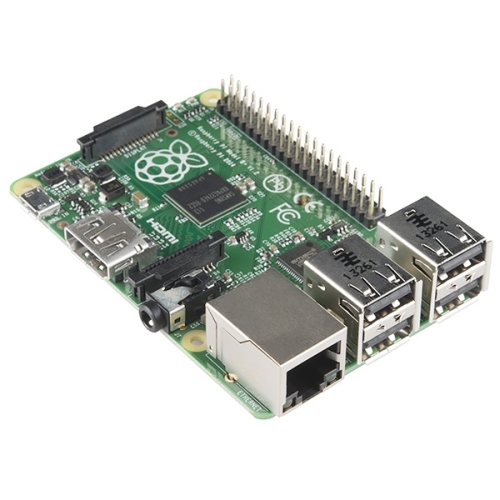 Not only did the new Raspberry Pi B+ get released this week, we have a couple other cool products as well. At one point during filming Nate (the owner of SparkFun) pops his head into the room after seeing the sign on the door only to find a bunch of guys huddled around a lone employee hooked up to a mysterious box, with only one dim light, and a camera pointed at him. He didn't ask questions, he just went back to his desk. Classic Nate. Want to see what your heart is doing? Just hook up some electrodes, plug it into the AD8232 Heart Rate Monitor and chillax. The breakout outputs a simple analog signal that can be easily viewed or logged. The AD8232 is an integrated signal conditioning block for ECG and other biopotential measurement applications. 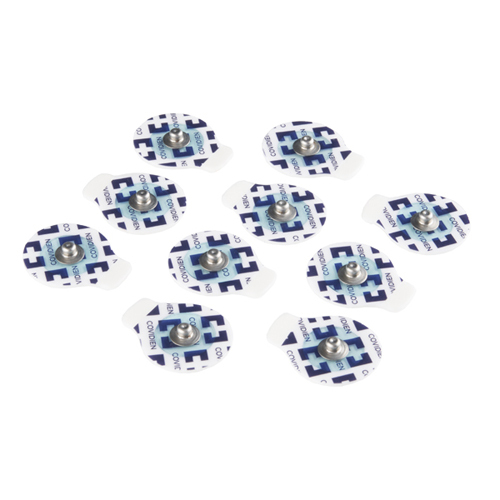 It is designed to extract, amplify, and filter small biopotential signals in the presence of noisy conditions, such as those created by motion or remote electrode placement. Neat. Of course you're going to want a cable to hook up to the heart rate monitor I just convinced you to buy. 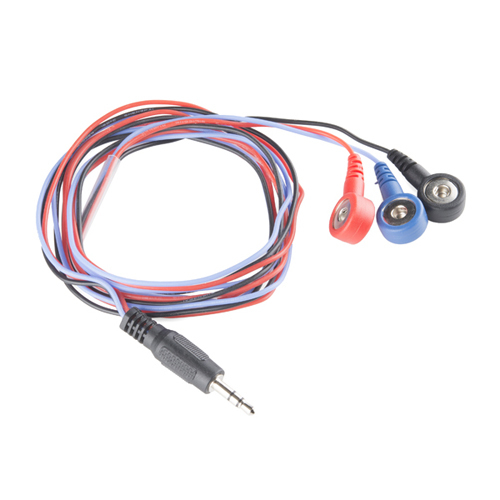 Thankfully, we have these simple cables that plug into the 3.5mm jack on the breakout. They then connect to three separate electrodes. 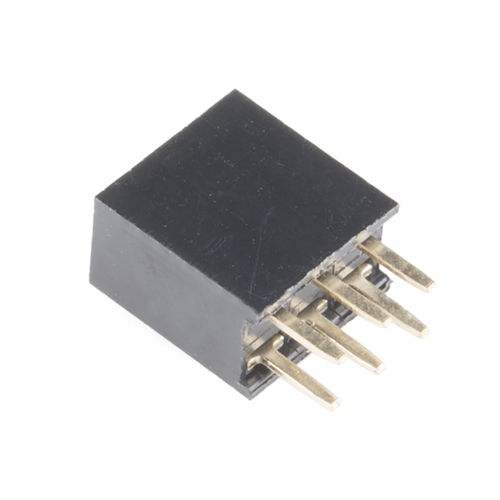 The little snap connectors are really common, so you can use them for other applications too. Finally, you're gonna want some electrodes, or 'biomedical sensor pads. These comes in packs of ten and stick like their life depends on it. They are one-time use; once you remove them they don't read as well. If you're going to be doing a lot of monitoring, you might want to get several packs. 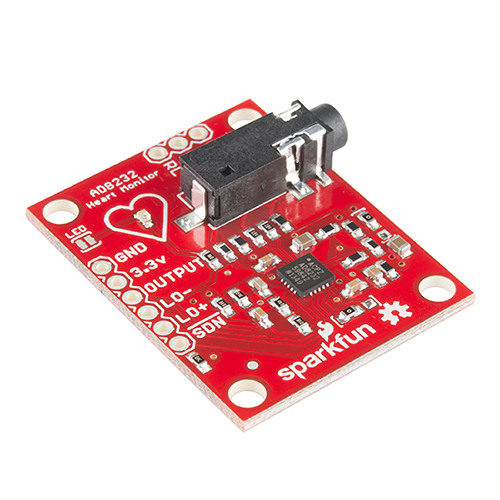 We have a couple new analog accelerometers this week. 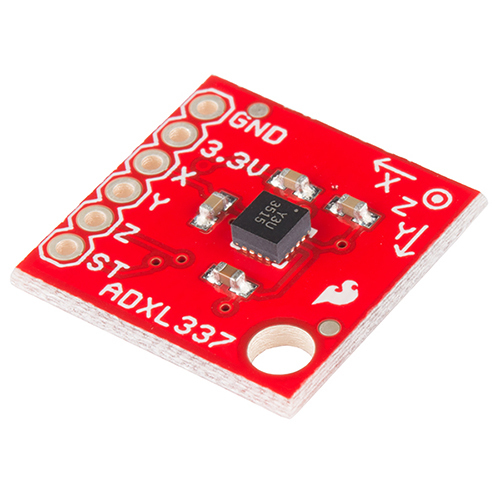 Both are triple axis analog sensors, but the ADXL337 has a range of ±3g whereas the ADXL377 has a range of ±200g. Both operate from 1.8 - 3.6V. Want to know how to use them? Check out the hookup guide. 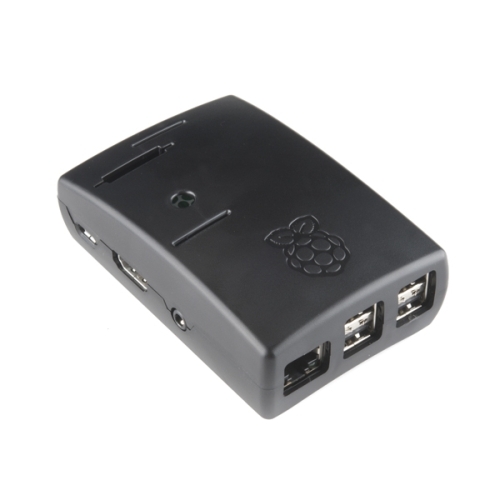 This week a new Rapsberry Pi model was announced. The new B+ has more USB, more GPIO and a new layout. If you want to see a more in-depth comparison, check out Shawn's video here. In addition to the standard B+, we also have a version bundled with an 8GB SD card preloaded with the NOOBS operating system for Raspberry Pi. NOOBS is actually a system image with SIX different Linux based operating systems used to run on the Raspberry Pi, Archlinux, OpenELEC, Pidora, RaspBMC, Raspbian and RiscOS. We also sell the 8GB SD card separately. Want an enclosure to go with your new Pi? Want no more. This enclosure fits the new B+ perfectly and has holes for all the connections. It has slots all around the sides for your audio, video, ethernet, and USB, and slots up top for the camera ribbon, and a slot down the side for the GPIO ribbon cable as well. 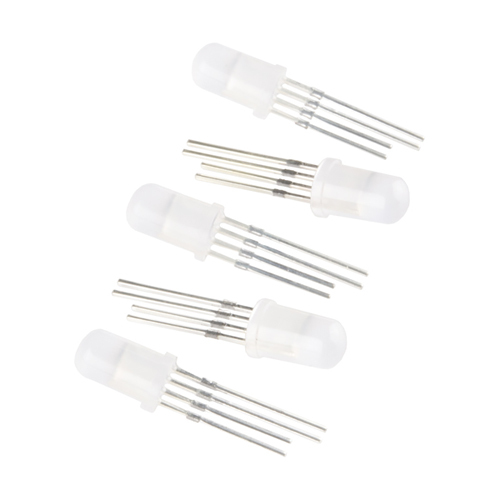 Several weeks back we started carrying some 8mm addressable LEDs. This week we have a 5mm version of them. They both have the popular WS2812 control IC built right in. You can daisy-chain a bunch of these together and control them all with just a couple of data lines. Check out this tutorial to see how! Lastly, we have a simple 2x3 female header, commonly found as an ISP header on microcontrollers. The pins are 0.1" spaced and ready to be put to use. That's it for new stuff this week. Thanks as always for watching and reading. We'll be back next week with even more new products, see you then! This is more disappointing than the time I missed the super bowl!! and it's even a really good video this week too... as is the tradition, keep hammering that F5 button. My F5 button hasn't work right since free day. Please!! Desperately in need of new video!! The weekend officially begins when i watch the new product post! What did you use to send audio between the two interrogation boxes? Was it actually just the land line phones? we just used our phone system. yes, we cheated. I was talking into the "interrogation box", but it was just going through my phone. you know, 'movie magic'. Oh darn. I've been trying to find a cheap way to wirelessly transmit audio with arduino (or some other microcontroller) and so far I'm using the FM radio transmit method with adafruit's FM transmitter and sparkfun's receiver. It's okay, but is there anything of higher quality for around the same price? Or better yet, cheaper? Someday, I will have a job here. Someday. Seriously?!?!?!?! You guys are just having too much fun! Loved the video! Starting to get shakes. .. need new product video. . .. It sounds awesome too. Aghh the agony. It should work on YouTube and on this post now. Thanks for your patience! Errrr, I'm addicted when am I going to get my Friday Product post?